Classic style watch with medium sized strap in Khaki and face with plain white background colour and large readable numbers in Silver coloured casing. Stainless steel back. 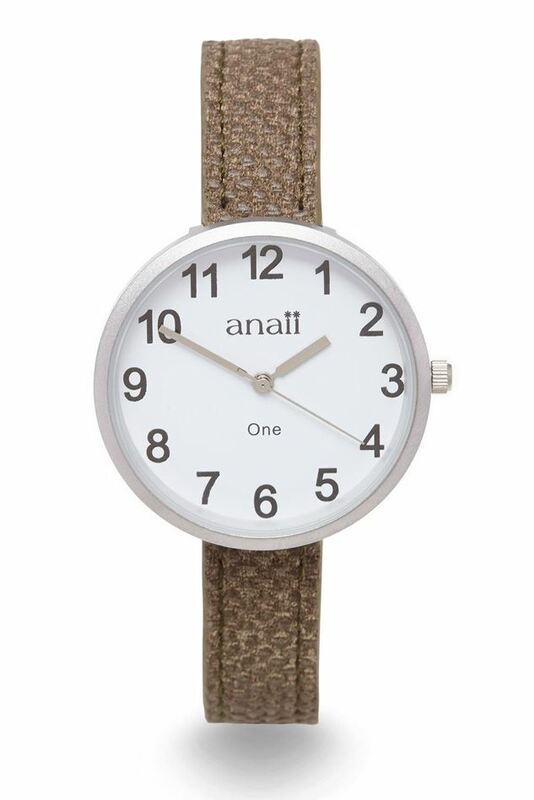 Classic style watch with medium sized strap in Khaki and face with plain white background colour and large readable number in silver coloured casing.